We offer ambient music solutions and theIR respective audio equipment. Radiopark is all about fine high-quality sounds. Which is why we offer a wide spectrum of top quality audio productions such as audio books, music, comedies, sound effects, telephone hotlines, sound loops for telephone systems and advertising spots for radio. 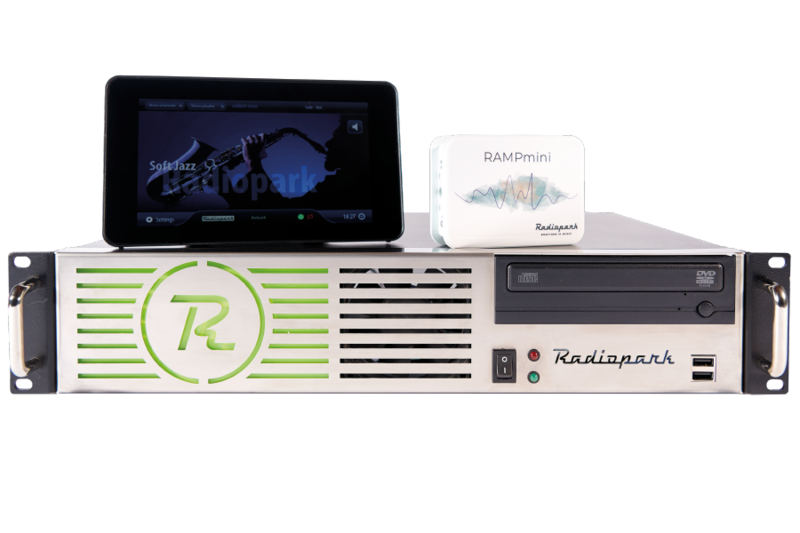 Radiopark not only composes exclusive music programs but also supplies reliable broadcasting hardware. Our focus is on developing a personal audio signature for your company and we support you in creating an unmistakable brand identity. We also produce jingles, trailers, teasers and background music as part of your audio branding. Our individually tailored music programs enable you to intensively engage with your customers and guests. It actively shapes your target group’s moods. Even diversified groups will be provided with an effective solution. 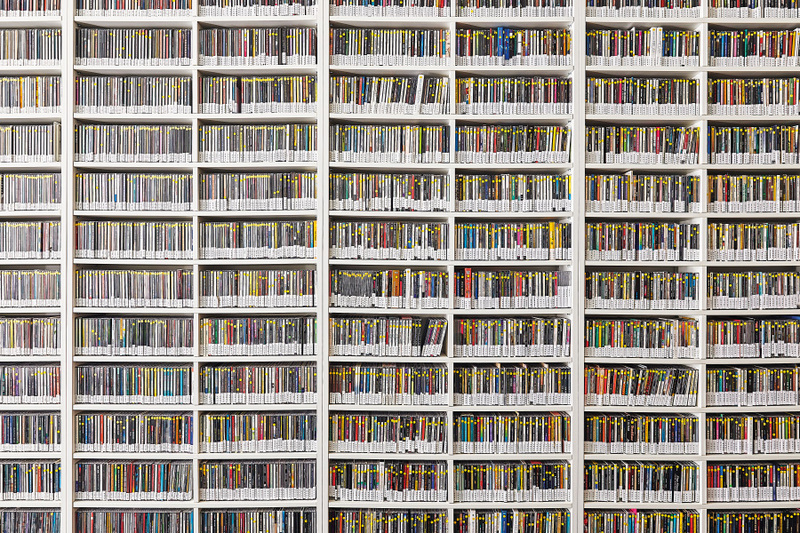 Radiopark’s editorial team creates your custom program out of over one million songs. Elaborate planning tools help us to compile the right audio design for you, thereby creating an optimal composition for every moment. We adjust the mix dynamically, making sure that the sound arrangements are never the same. Our specially developed application makes sure that the combination of tracks always varies. That way, Radiopark guarantees innovative and diverse listening experiences at the highest level. Our music creates soundscapes that resonate. The 1-channel mediaplayer RAMPmini is currently the most compact, efficient and ecological device on the market. It is a thing of extremes: extremely easy to install, with an extremely low power-usage, extremely reliable and extremely light and small. The RAMPmini mediaplayer is the most modern hardware on the market. The 1-channel mediaplayer RAMPtouch has a 7‘‘- touch display. With a simple touch, you can choose between a variety of theme and genre channels. Because of its compact measurements of only 12 x 20 x 5cm, it fits perfectly into most storage areas behind bars, at the restaurant or in lobbies. That is why the RAMPtouch is the ideal solution for entertainment needs at event-locations, theme restaurants or at spas. The 19‘‘- mediaplayer RAMPmulti is designed for the central installation into 19‘‘-computer-racks. You can broadcast up to 6 different music programs simultaneously. The device with the highest performance is the RAMPpremium, also a 19‘‘-mediaplayer. With an external converter it can play up to 24 programs at the same time analogously or digitally (e.g. streaming or DANTE). As a full-service-provider, Radiopark not only provides professionally and custom developed music programs but also takes care of the optimal audio planning and the installation of sound equipment. Each room’s individual properties are taken into consideration. Radiopark cooperates with various manufacturers such as Bose, Cloud, Ferrofish, Teufel, K-Array, Apart, Sonos or myaudioart. Always the latest technology – independent from manufacturers because your needs are what we care about. At Radiopark Studios you’ll find some state-of-the-art digital production facilities required to meet the various demands of our customers. May it be Radio commercials, audio-books, web-radios, entire radio shows or even unplugged sessions with major artists like Bryan Adams, Sheryl Crow or Mike & The Mechanics. Our team is constantly searching for the next visionary idea and solution to paint the goals of our customers with sound.